Last year, Darkstar released their third album Foam Island. 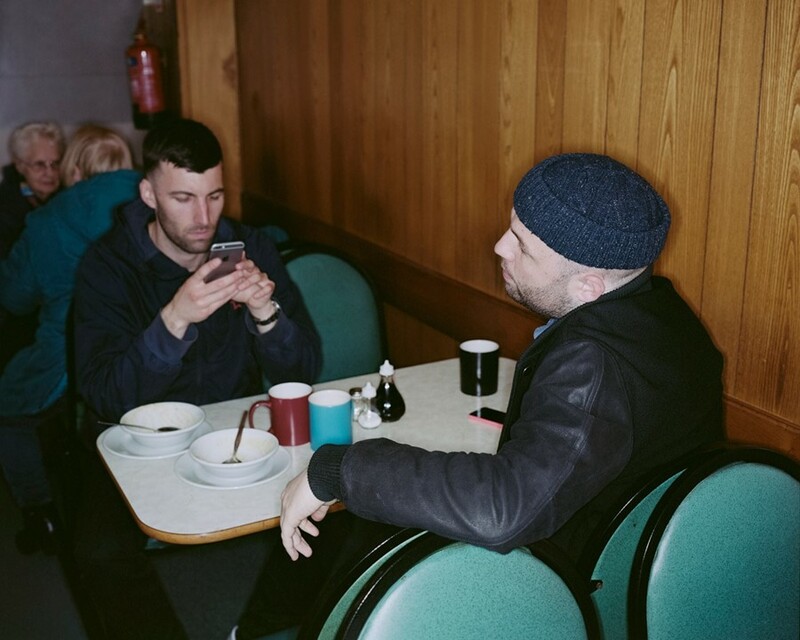 While recording the album, the electronic duo travelled up to West Yorkshire, near where they originally hail from, to interview young people in Huddersfield and Kirklees about their lives, their outlooks, and their prospects. The recordings captured a generation who’d been left economically, culturally, and politically disenfranchised by the London establishment. The album resonated particularly strongly when it was first released as it came in the wake of the General Election that saw the Conservatives returned to government with a majority. But it feels even more potent today in the wake of the EU referendum, which saw the UK vote to leave to European Union. In many ways, the vote – a binary in/out decision – wasn’t so much about EU referendum as it was a vote against the establishment, a vote for some kind of change, any kind of change. Darkstar’s new EP feels very timely then, though thematically it’s very different to Foam Island. Titled Made to Measure, the EP casts Darkstar as producers instead of songwriters, handing vocal duties over to different collaborators – one, New York-based Empress Of, the other Brixton-born vocalist Gaika. 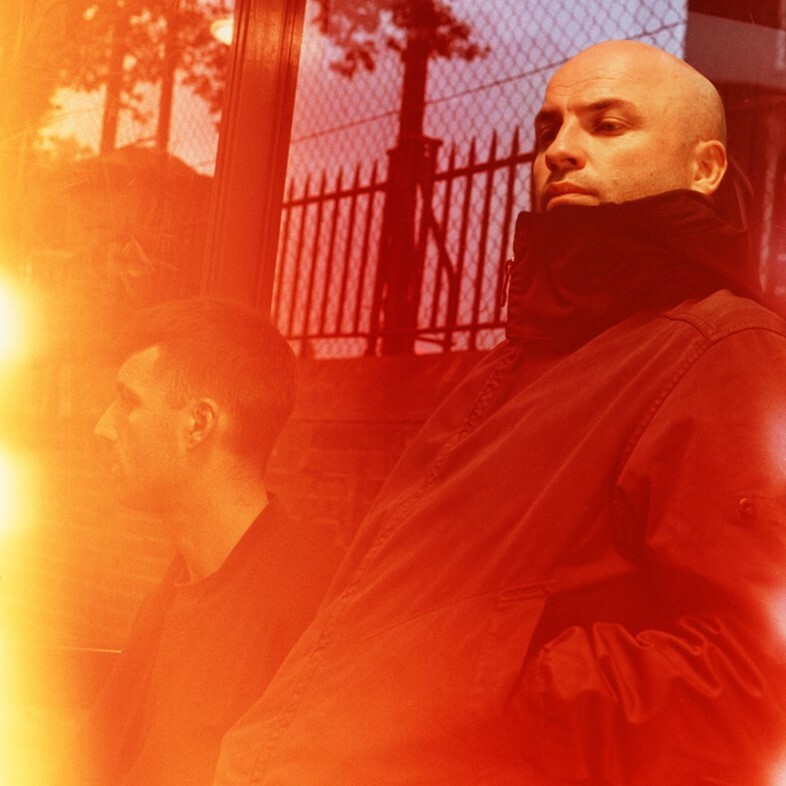 We caught up with Darkstar’s James Young over the phone to discuss the EP, their next album, and the EU referendum result (some of his answers were included in abridged form for our recent feature on life after Brexit). How does the new EP relate to Foam Island? James Young: It’s a continuation, I suppose. There were a couple of ideas we had left over from Foam Island – sketches we wanted to develop further, but couldn’t really fit onto the album. We were so consumed by Foam Island that it was nice to collaborate with other artists and just get back into making beats. It’s always important to go back to just making beats, I think it refreshes us. We’re just writing a new album again now. It resets everything so that we can go back to another LP. So do you see the new EP as a continuation of Foam Island, or a precursor to the new one? James Young: I think Foam Island, this EP, and then the new record will be like a trilogy of sorts, particularly the two albums. The EP is more collaborative; we just wanted to recharge the batteries, and maybe go out of our comfort zone in terms of approach and what we’re used to. I think there are conceptual connections – subtle ones – and sonic connections, stuff like that. But I think we’re also keen for them to stand individually. Tell us about the collaborators on the EP. James Young: We’d been chatting to Empress Of for a while online and she said that she liked our tunes. I liked her last record and thought she was a great vocalist. She was doing a gig in London and came over to North London, where our studio is. We spoke for a bit, and I gave her a couple of demos. One of the beats was ‘Reformer’. She recorded the topline the next day. We went back and forth for a while and she finished it off in LA while we honed the production. With Gaika, that beat was a leftover from Foam Island. We couldn’t get a vocal on it. When I heard the first Gaika mixtape, I reached out to him. He was really cool – he said we was a fan of ours. That’s been great because we were able to perform that live for NTS a few weeks ago. He’s a good talent – I think he’s gonna do well. What’s the stuff you’re making now sounding like? James Young: It’s vocal-based again. I dunno – it’s like weird, distorted hymns. We’d just been messing around with these vocal settings that Aidan found, keeping it quite sparse and cavernous. Foam Island is a very dense record in terms of how we built the beats – there’s lots of layers, it’s quite thick-sounding. Rhythmically, we’re still yet to figure out where we’re gonna go. It’s definitely taking on a life of its own at the moment. So let’s talk about the thing we’re dying to talk about, the EU referendum. Did the result surprise you? James Young: Earlier in the year we toured Germany, and we had an interview. Brexit, on mainland Europe, was much more visible – people were concerned about it more than in the UK. I remember when the journalist asked about Brexit, I was so confident we’d vote Remain. ‘Mate, there’s no point talking about this. It’s not even an issue.’ And then towards the date, you realise there’s an agenda within the Conservatives and the red tops and the right-leaning press (to vote) in favour of it. It starts to become very real very quickly. I went to bed on the night of the referendum at about 1am thinking the Remain vote were about 100,000 votes off – but it was still under three million votes that they’d yet to count. I went to bed relatively confident, then got up to lots of text messages from friends. It still caught me off guard. I can’t quite believe it. Already, you can feel a change – subconsciously, I think people will panic even more than they are now. I think to not have a clear Brexit plan, and then for it to actually go through, is indicative of where this country is at the moment. When I interviewed you last year, it was just after the general election. You’d said nobody up in West Yorkshire, where you recorded Foam Island, could tell the difference between the Tories and Labour. James Young: Yeah, it’s true. If people were more politicised, we wouldn’t have got to this point. One of the most frustrating things with Brexit is how people seem to be consumed by politics at this level, when really the larger issue, in my opinion, was the recent general election. Obviously there were massive question marks over Labour’s leadership at that time, but still, it is frustrating… I think pure frustration is how I feel about it to be honest, on many levels. That people have got these huge platforms that people can use to influence, they’re now using it to ask people to sign a petition for another referendum. It’s like, where were you? It’s pathetic. Talking about a platform, what role do you feel you can play as a musician, with your small platform? James Young: That question was levelled at us a lot with Foam Island. I think the question is valid now. If your livelihood is gonna be changed now that we’re not gonna be part of the EU, and things like travelling between countries and visas and carnets come into play, there’s people on Twitter with tens or hundreds of thousands of followers – you only need to set out a pro-Remain narrative and I’m sure that people would respond. But I dunno, man – a lot of people don’t seem to want to be politicised within music. I think it’ll cause a reaction for people to be more responsible, in a sense. I don’t want to sound preachy, but some people just aren’t turned on by the prospect of that. But it is valid, I think. James Young: Yeah, I think people have got a responsibility to just inform people properly. The next few years will be crucial for putting forward new ideas, because there’s a void of ideas that needs to be filled. So what message would you want to put forward? James Young: Two things really: I think the country has to be more inclusive. Being from the north and living in London for 10 or 15 years, you realise how London-centric – economically and culturally – this country’s become. Provincial cities are in many cases reliant on EU money, right? So it’s bizarre; the decision to exit on their part is bizarre. But these places feel lost and alienated. I think, for the most part, (the Brexit vote was) a protest from people that have been, for want of a better word, neglected. What’s also been bothering me is nepotism. It feels like everything’s just jobs for the boys. Inclusivity would surely cultivate a culture that included and benefitted people from various race, religion, creed, ethnic, and class backgrounds. It feels like the whole system is being brought it its knees, and different points of view would be healthy in the lofty places where decisions are made. Labour needs to sort themselves out very quickly. Now would be an ideal time to be organised, at the very least. But it’s a minefield of a question to be honest man.